ScaleBirds, Home of the 63% Scale Hellcat replica kitplane project. Do you like the look, the sound, the feel of a ROUND ENGINE? Searching for a unique powerplant to hang on your UNIQUE aircraft? Verner Motor is a company from the Czech Republic building new radial engines for aircraft around the world. ScaleBirds is proud to be an official source in the United States for Verner Motor products. Whatever you're flying, ScaleBirds will be ideally positioned to provide service and support for your project. The allure of a round engine is an oft-expressed notion by many a pilot and aircraft aficionado. The heyday of the radial engine is firmly in the past, yet the mystique has never waned. Verner Motor has developed a modern incarnation of these classics that delivers the advantages of the radial configuration. 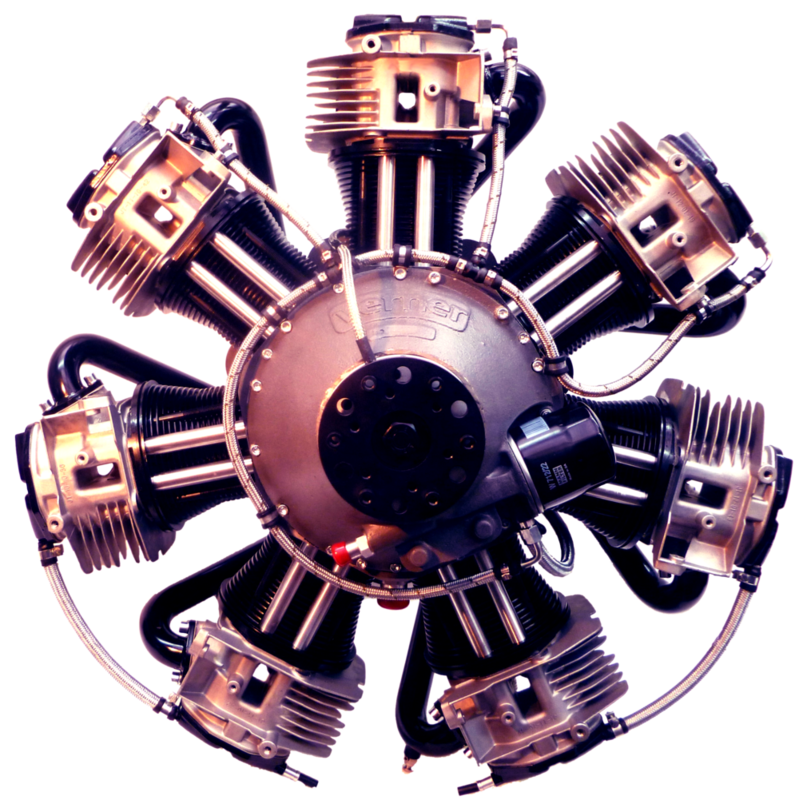 For those who seek a true radial engine for a light aircraft, a Verner engine offers a compelling value. ScaleBirds have always been developed with the idea of round engines in mind. With the Scarlett 9, 7 and 5 series engines, we have found an ideal round engine solution for our proposed lite and sport fighter lines. In order to make these engines more accessible in the future, we have agreed to act as dealers in the USA for Verner Motor. While this should lead to ScaleBirds that can come complete with comprehensive firewall forward installation packages with these unique engines from the Czech Republic, it also means that anyone who wishes to use a Verner on their own project may find ScaleBirds a good source of information, products, and support. Today we can offer American aviation enthusiasts any of the current line of Verner engines on our site, as well as support and information. Soon to come, ScaleBirds is committed to developing a comprehensive service solution for Verner engines, right here in the United States.